TC ELECTRONIC Guitar Effects users Unite! Share your experiences, settings, units, pedalboards etc. here. I used the search function and wala naman ako nakitang thread regarding this. If in case meron na, mods pls lock na lang. Thank you. Right on sir Ian. Musta na? Rey Cantong here. The one who got your jsx . Uy Rey! Balita? Musta na si JSX? I bought SPI's album. Great tunes, bro. I loved the Survivor-inspired track. Di ko lang maalala yung title hehe. funkyestep a.k.a. plugzzzz: What's up with the clone account? I'll give you one day to give me your explanation. Hello bro. Life's great here. Kaw musta na? JSX is doing great. Finally had it switching through the G-System (and finally ginagamit ko na preamp dirts niya so goodbye PODxt Pro na ako hehehe). Sir, you're the one doing the Rectorizer right? If you have six hands to simultaneously turn all six tuning machines, yes. lol. I'll be getting a Nova Drive soon. I'm planning on getting one. Then loop it in the G-System. Di pa ako nakagamit ng Nova System so I can't say. What I know though is the G-System is designed na walang drive para yung user na ang bahalang maglagay ng drive of their choice. In that way you won't be stucked in the onboard drive (like the nova system). According to Mr. Steve Vai, mas ok ang G-System over G-Force, G-Major and Nova System in terms of effects and pagiging user friendly nito. 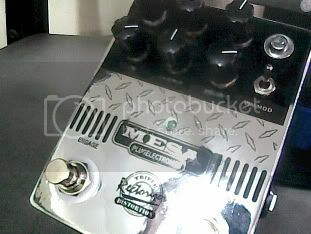 He even revamped his rig down to a G-System and a few pedals na lang. 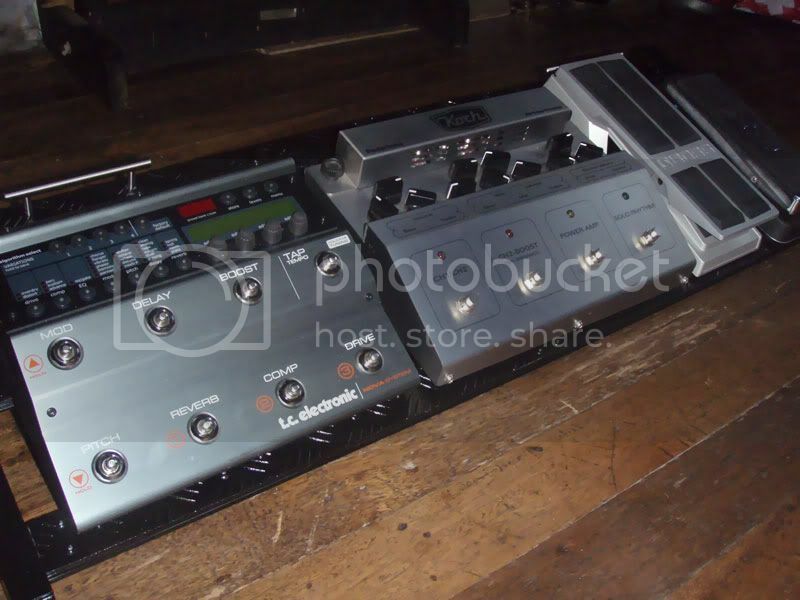 I want reverb and modulation NAO. I like my Nova Delay. Pretty user-friendly once you get used to it. Onboard modulation and the repeats for the controls, as well as the analog/tape modeling, helps me get some very pleasing shoegazer sounds. The two footswitches can be a bit 'slow,' though. Dasal lang at gitara ang sandata sa gabi! Bad Behavior has blocked 83263 access attempts in the last 7 days.